Children with uncorrected vision conditions or eye health problems face many barriers in life academically, socially, and athletically. A comprehensive eye examination is necessary to ensure your child's visual system is functioning properly. 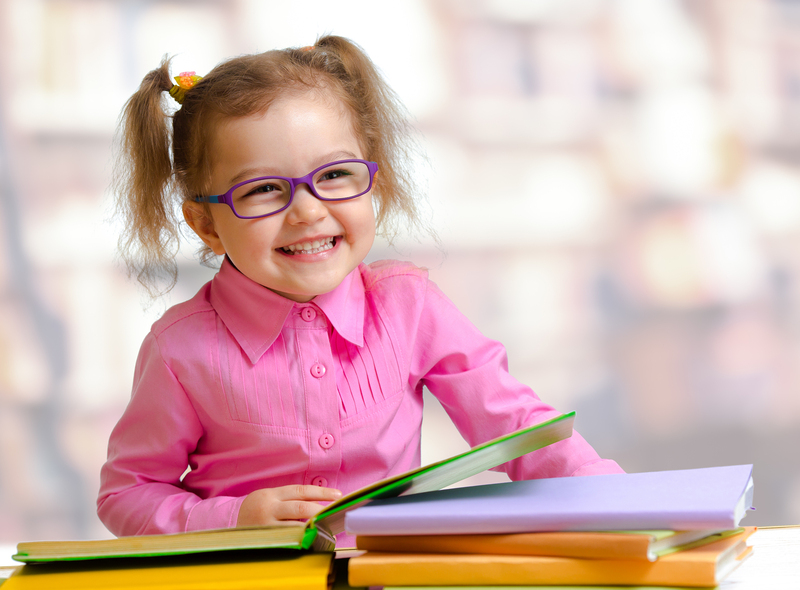 Vision screenings at school are not sufficient to detect all visual problems your child may be having. See our recommendations chart below to determine when it may be appropriate for scheduling your child's first eye examination. What are some signs of a possible eye problem? Eyes don't line up, one eye appears crossed or looks out. Eyes are watery or red. Closes or covers one eye. Tilts head or thrusts head forward. Has trouble reading or doing other close-up work, holds objects close to eyes to see and/or seems cranky when doing close-up work. Has problems with attentiveness with near work/school work. Blinks more than usual and/or squints eyes.